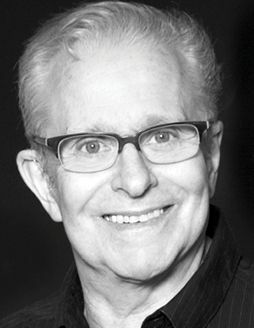 Laurence Tribe is a Harvard law professor and leading constitutional scholar who has often argued before the U.S. Supreme Court. His latest book, co-authored with Joshua Matz, is To End a Presidency, an examination of presidential impeachment. Tyrant by Stephen Greenblatt (Norton, $22). As an avid fan of Greenblatt’s work, I read his new book the moment it became available. Following the lead of Shakespeare, who used history to shed light on his own time, Tyrant offers a brilliant meditation on the patterns of character and fate that drive tyrants to seek unbounded power and lead some societies to submit to their cruelties. Lincoln at Gettysburg by Garry Wills (Simon & Schuster, $17). We all know Lincoln’s masterpiece, but until I read this gripping account of its making and of its way of linking our Constitution and Declaration of Independence, I had not fully grasped the genius of Lincoln’s ringing reformulation of our nation’s meaning. The Botany of Desire by Michael Pollan (Random House, $17). I often read to discover corners of knowledge far afield from my life in the law. Pollan’s Botany of Desire exposes how much of what human beings think they create and tame in fact shapes them. Reality Is Not What It Seems by Carlo Rovelli (Riverhead, $16). As a once-upon-a-time mathematician wannabe, I favored pure math over physics, deeming applied sciences too contingent and imprecise—an odd notion for someone who then entered law. I’ve spent much of my reading life trying to compensate for my early folly, and Rovelli’s book offers one of the best glimpses I’ve ever encountered into the links among fields, particles, space, and time. Gödel, Escher, Bach by Douglas Hofstadter (Basic, $25). I encountered this book just after completing the first edition of American Constitutional Law and found myself hungry for theories of everything. What better than a demonstration of how mathematics, music, and visual art—three of my favorite things—are made of the same self-referential stuff? It’s impossible to read this work of genius too often.